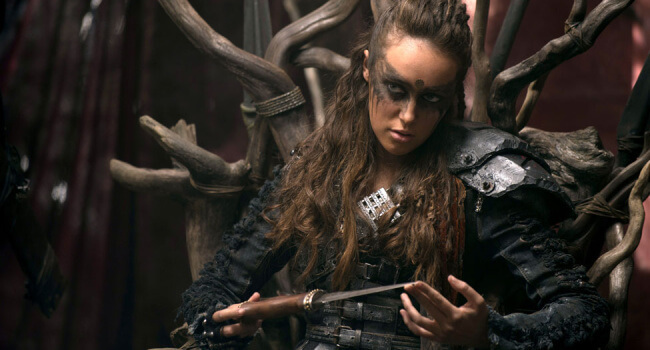 In The 100, Lexa (Alycia Debnam-Carey) is commander of the 12 Clans, uniting the Coalition in a fight against Mount Weather. She commands respect and wields authority as a visionary. At the same time, she is merciful and trusts in the Sky Peoples. You can watch a video tutorial for how to style your hair like hers here.